A “PLAN” is a written account of the intended future course of action (scheme) aimed at achieving the specific goal (s) or objective (s) within a specific timeframe. It explains in detail what needs to be done, when, how, and by whom. The challenge for Brown County is to assess the opportunities as well as challenges within the county and region to identify the best approaches for the county. Technical requirements for the economic development strategic planning grant. Economic Development Plans_OCRA Technical Requirements. Income trends by categories 1999-2016: Downward trend in $50K and lower; Upward trend at $50K and higher. South Central Indiana – United Way 2-1-1 Resource Database. ALICE Brown County Report Information on households that earn more than the federal poverty level but less than the basic cost of living for the county. Nashville at 54% has the highest score compared to the townships and conservancy. 2017 IU SPEA Brown County Redevelopment Analysis. Brown County Democrat, Tuesday, May 16, 2017. Local taxes, job options need further scrutiny. 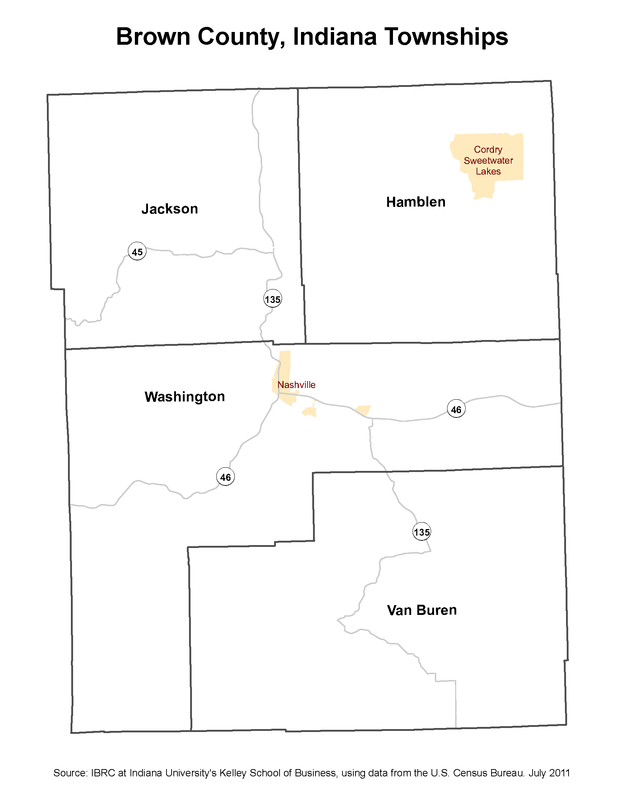 Brown County Hometown Collaborative Initiative (HCI). Sponsored by Office of Community and Rural Affairs, Ball State, and Purdue University. 2018 HCI Community Survey. There were approximately 400 responses. Survey results were presented at a community forum at which time, more input was received. 2016 Assessment – Community Performance Indicators (CPI). The CPIs are supplemented with data from The Center for Business and Economic Research at Ball State University. (Note the term “Performance” was replaced with “Vitality” in 2017. Brown County Democrat: What are best bets for future of local economy? Brown County’s greatest potential for economic growth is as a bedroom community, according to economists with the Center for Business and Economic Research at Ball State University. 2014 Economic Impact of Tourism in Indiana Indiana EIS 2015 DRAFT 1-20-2016 Rockport Analytics Tourism generates sales tax and revenue from the innkeeper’s tax is used to promote more tourism. Counties are funded primarily by income and property taxes. BALANCED TOURISM – Tourism is an asset to Nashville, too much and wrong type of tourism can be a liability to the county. Tourism generates sales tax for the state and revenue for business owners. The County is funded by income and property tax. Indiana Economic Development Corporation – Average and Project Wage – 2006 – 2017. Regional Opportunity Initiative (ROI). The mission of Regional Opportunity Initiatives, Inc. (ROI) is to support regional development opportunities in the 11 counties of Southwest Central Indiana. Oct 14, 2018 Gov. Holcomb: New jobs require Hoosiers to move beyond a diplomaAdditionally, we created NextLevelJobs.org to support Hoosier adults by offering programs that can be accomplished while working. Our ultimate goal? To fill the 90,000-plus jobs available right now and make our workforce system better aligned to employer need.